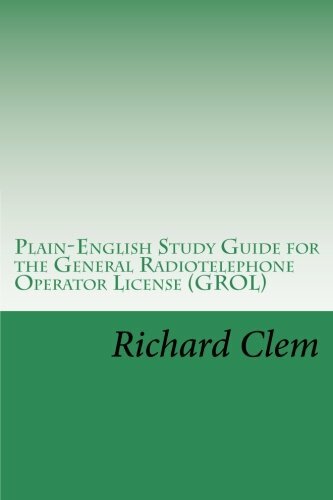 This is a study guide for the FCC Element 3 exam for the General Radiotelephone Operator License (GROL). Each chapter contains an explanation of the material on that section of the exam and includes all of the possible test questions with the correct answers shown. Most persons taking the exam for the GROL will have some background in electronics, and some chapters will serve as a review of what you already know. But the GROL exam covers many different areas, some of which might be unfamiliar. This book will be especially helpful when you get to those areas. Basic electricity and electronics are covered. Therefore, it would be possible to pass the test simply by studying this book, even if you have no background in electronics.